According to the National Cancer Institute, “cancer remains the leading cause of death from a disease for children”. So it’s more than appropriate that September has been deemed childhood cancer awareness month where families, advocates and friends come together as a community to help raise awareness of this dreadful disease. Common types of childhood cancer include leukemia, brain, central nervous system tumors and lymphoma, however several other types are diagnosed every day. One of the most concerning is diffuse intrinsic pontine glioma (DIPG), a type of brain tumor with a survival rate of less than 1 year from diagnosis. (1) Those that survive beyond the 5-year milestone often face significant health complications as a result of the harsh treatments they endure. These complications referred to as “late effects” may include premature death, second cancers, congestive heart failure, hearing and sight loss, infertility, and learning disabilities (2,3,4). These late effects don’t include the hours of physical, occupational and speech therapy that many complete in an attempt to regain some sense of childhood. And although statistically some claim we’re doing better in this fight, reality is that in the US alone, an estimated 2,000 children will die each year from cancer. Increased funding to support research and clinical trials is a significant challenge as federal funds are allocated to the many types of cancers affecting all ages. Currently less than 4% of the National Cancer Institute’s budget is dedicated to childhood cancer research (4) and it’s simply not enough! And according to the St. Baldrick’s Foundation, only 3 new drugs have been developed and approved specifically to treat childhood cancer in the last 2 decades. This month you may have seen golden ribbons as we “go gold” in an attempt to raise awareness for childhood cancer. Companies are donating funds for social media hash tags and corporations are turning their exterior lights gold in a show of support yet continued advocacy and increased funding is needed to make a difference. 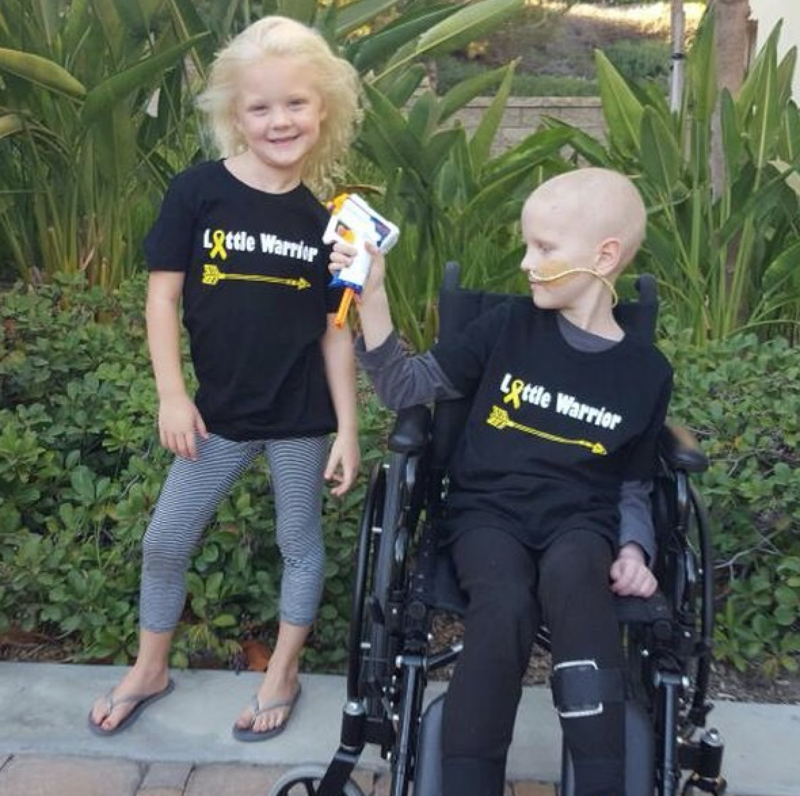 Educating others on this issue via Social Media, writing a letters to inform government officials ad donating even a small amount to the many charities and foundations focused on raising funds all help to support the fight against childhood cancer. In 2014 I was one of the millions of adult Americans diagnosed with cancer. At the conclusion of treatment I set out to turn my experience into something positive and so, Courage And A Cure was born. Realizing that I couldn’t find a stylish t-shirt in support of cancer awareness to wear to doctor appointments and treatment, I set out to create one. I wanted a shirt that represented my battle, was flattering, allowed for easy port access, yet was comfortable to wear. I may have been bald and puffy from steroids, but I still wanted to dress cute, even when I didn’t feel good. Setting up an online shop and hitting the social media scene with a small inventory I began selling t-shirts. I immediately observed the amazing work of so many advocates supporting cancer patients and families. These individuals were dedicating their energy and financial resources to help others, simply because it was the right thing to do. I wanted Courage And A Cure to be known for just that…giving back when a cancer patient needs a little boost to make their day a bit brighter. We soon found our way of giving back by gifting our t-shirts to cancer patients. When a customer purchases a shirt, we donate a shirt. Each day we scan social media looking for compelling stories of survival, courageous patients facing challenging treatments, or those having a difficult time settling in after treatment and could simply use a little love. These are the individuals, young and old that we donate to. In honor of childhood cancer awareness month, we’ve committed to donating a shirt a day to pediatric cancer patients. 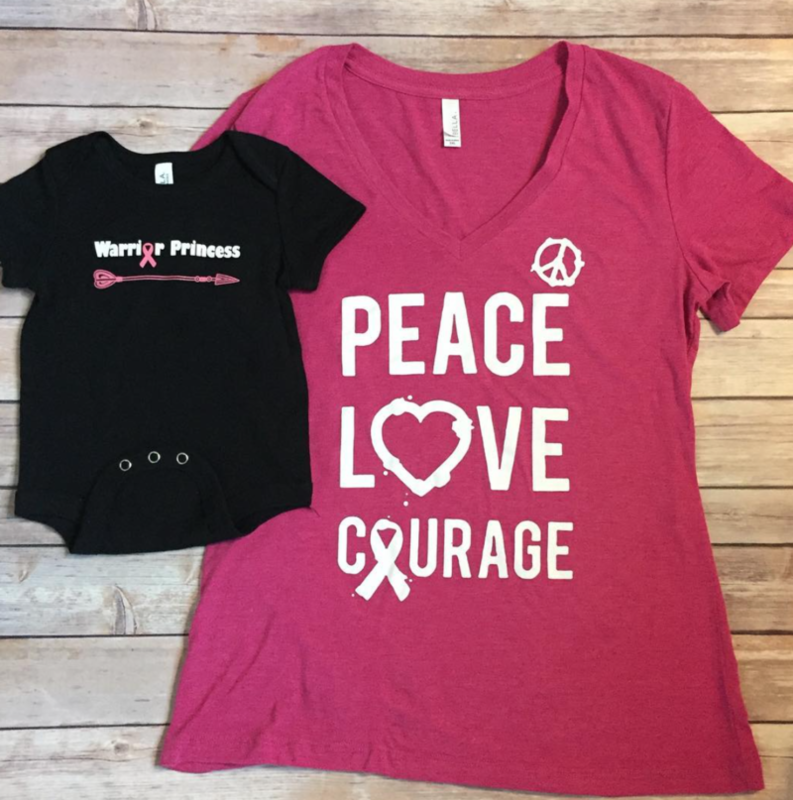 Parents often contact us to request a shirt for their child or we notice a fellow advocate’s post about a child in need and send out our Little Warrior or Warrior Princess t-shirts. One special donation this month was made to an 8-year-old boy from Orange County, CA named Coben Nash. Over the past 9 months Coben has been battling T-Cell ALL Leukemia, he’s suffered a Brain Hemorrhage, been through a Craniectomy and Cranioplasty yet keeps on fighting. Coben’s courage and strength are great motivators for us to continue to raise awareness for childhood cancer. Every Courage And A Cure order now includes a handwritten thank you note where we share the first name of the patient that will receive a t-shirt as a result of the customer’s purchase. It’s a personal connection that our customers love and appreciate. The notes we receive from the recipients make it all worthwhile. How a small and simple gift of a t-shirt can make a difference to a patient is humbling. We plan to continue fundraising efforts in order to expand our inventory selection and increase our t-shirt donations for those of all ages. We’re helping to raise cancer awareness one t-shirt at a time! 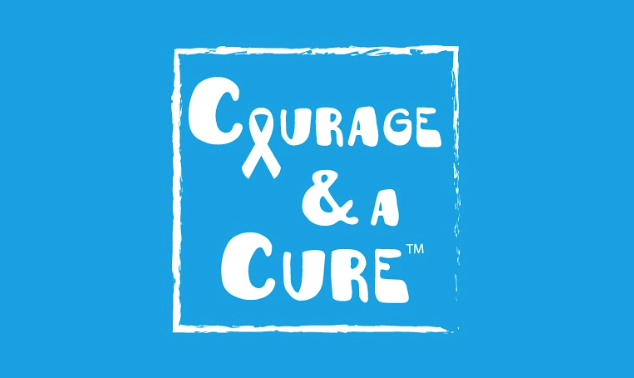 To purchase a Courage And A Cure t-shirt or make a cash donation, please go to courageandacure.org. You can also find Courage And A Cure on Facebook and Instagram. To read more about Coben’s story see teamcoben on Instagram and Facebook.